When you inquire about a kitten we require information about where you live, your family, schedule, other pets living with you, experience with Ragdolls and any additional information such as colour/gender preference that will help us assist you with choosing the most suitable kitten. You may use our adoption form if you are serious about your inquiry. We reply promptly to individuals who provide details. We strive to place our cats/kittens in homes where both people and felines can have an enriching lifetime. We have included a list of prerequisites that potential families are required to agree with before we will consider taking a deposit ($350). Our kittens are priced individually based on colour/pattern/quality. Please inquire about their pricing. Last updated 04/17/2019. The following kittens are still available. Honey Paws x Elliott – arrived! WE CAN NOT OFFER VISITATION AT THE MOMENT. We have newborns, mothers who are expecting and cats ‘in season.’ Maintaining a balanced living arrangement for our adults and adolescents can be VERY difficult, especially when their young primal minds and hormones are involved. Our priority is to preserve the continued health of our breeding adults and the optimal wellbeing of the ‘wee ones’ so they are ready to leave by their target dates. We do our very best to supply bi-weekly pictures or short videos as an alternative while reserved kittens are growing. We will also gladly provide ‘milestone’ information and ‘candid’ photos when the occasion arises. Kittens must leave on their target date. It is the buyer’s responsibility to be AVAILABLE when it is time for their kitten to transition to their new home. YOUR KITTEN WILL NOT BE HELD WHILE YOU ARE ON VACATION. PLEASE PLAN AHEAD WHEN RESERVING A KITTEN. We expect that if your new family member is important enough, they will not be boarded and displaced within weeks of going to their new home. Please consider the stress that this causes, the health issues involved and be wise about the timing of your new family member! Your new baby will be ready at approximately 12 – 16 weeks of age. 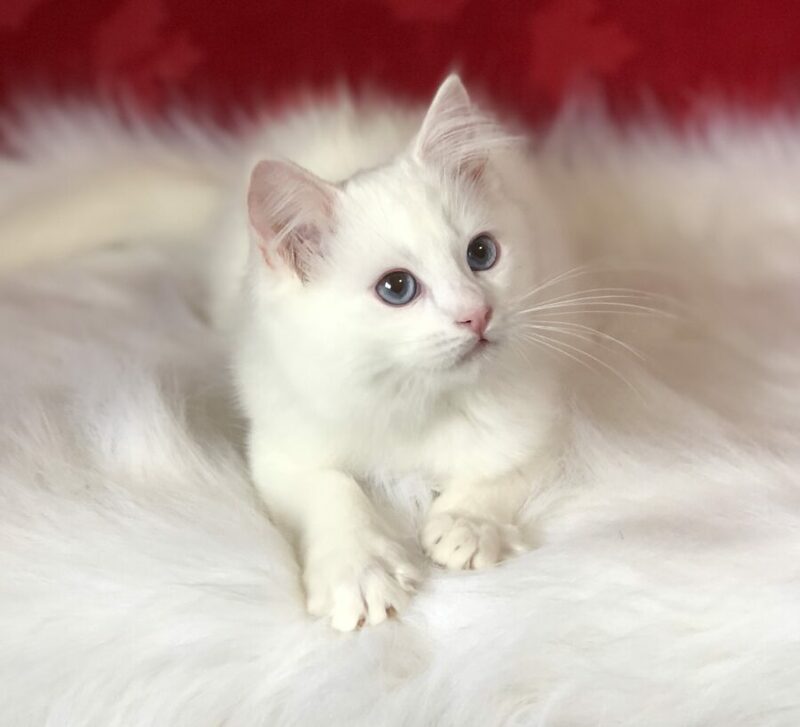 O CANADA Ragdoll kittens are OUR ‘furry family’ until they are paid in full and therefore we reserve the right to refuse any adoption of our kittens at anytime, for any reason, even after a deposit(s) has been paid. THIS IS RARE. Should WE choose to terminate our adoption arrangement, then we will return the deposit(s). Contact us for kitten availability or more information.